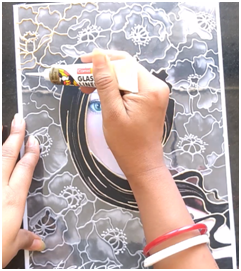 STEP 5: Placing the OHP Sheet on a plane horizontal surface and Start coloring using glass colors. 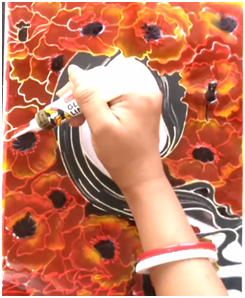 Let the painting dry for minimum 12 hours without moving it from surface. 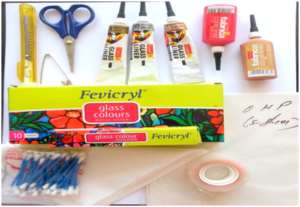 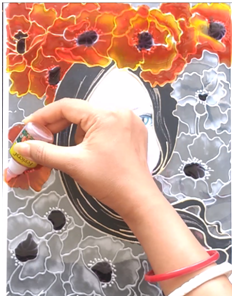 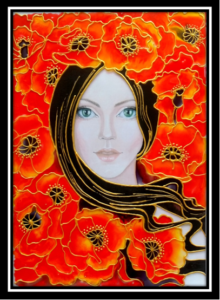 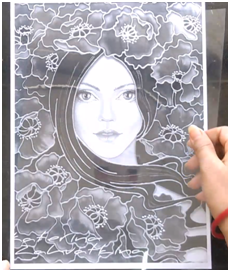 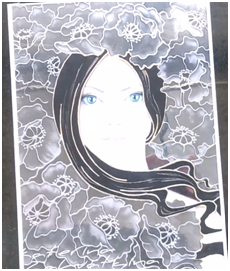 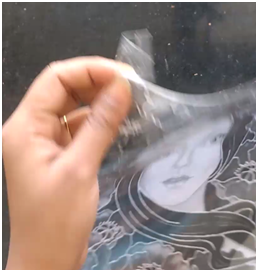 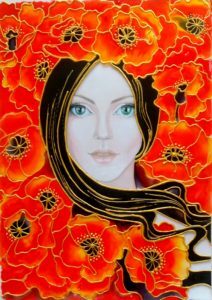 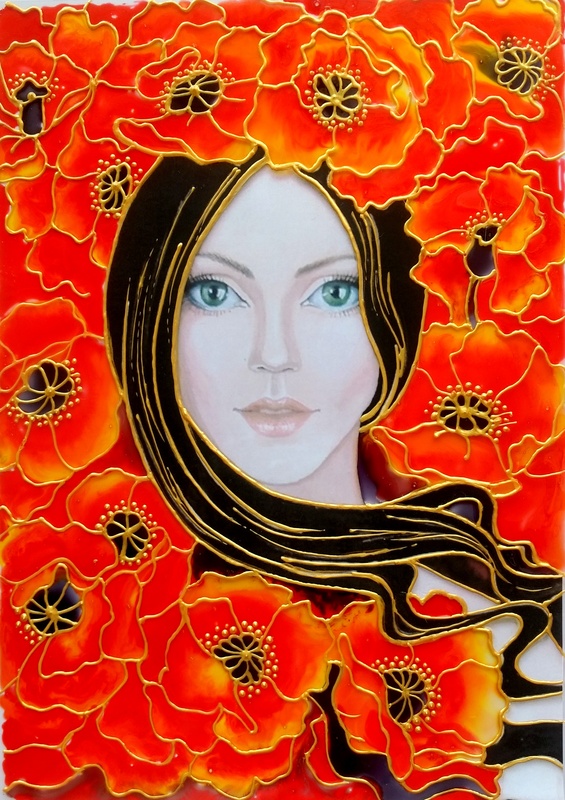 Outline the whole image using glass liner once again to beautify the painting.